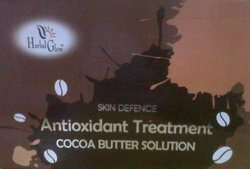 Cocoa a Natural Emollient with light content of Vit E is responsible for its beneficial properties to help skin renewal and repair. Cocca butter is also an antioxidant. Antioxidants protects the skin from free radicals of toxins that damage tissue at circular level. Aloe Vera Glycerine makes surface of the skin smoother because of its cohesive effect on the superficial flanking epidermal cells by sticking them together. Glycerine improves skin's natural youth and vigor, skin becomes soft, smoother, moist and glowing. 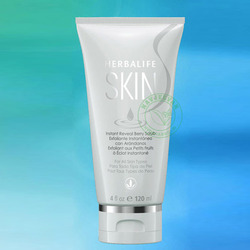 Helps quickly heal capillary bleeding thus making skin free of acnes, pimples, black heads.